A short post today. 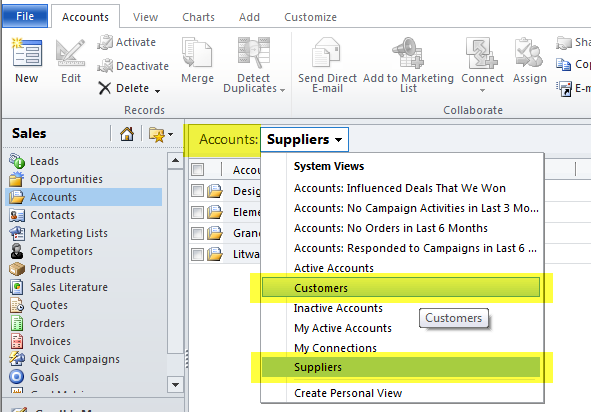 When using Microsoft CRM 2011’s REST oData End Point to create a new record or to retrieve an existing record the result is provided to you in 2 different ways. This can catch you out. 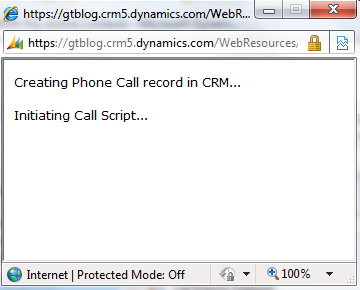 I’m placing the first CRM object in that array into a variable called Contact. 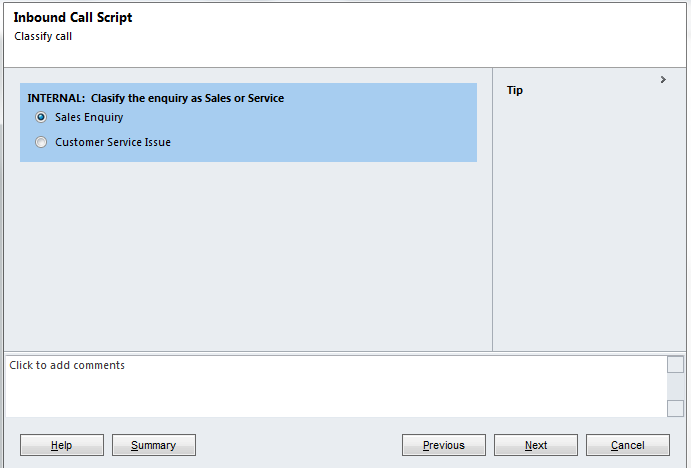 In the above example my query (which I haven’t included) was performing a top1 selection so I am only expecting one record and therefore only interested in the first record (array value 0). 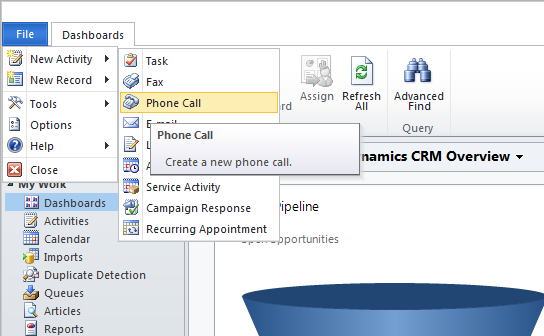 I then retrieve the Contact’s phone number by referring to Contact.Telephone1 where Contact is my object variable and Telephone1 is one of it’s attributes. 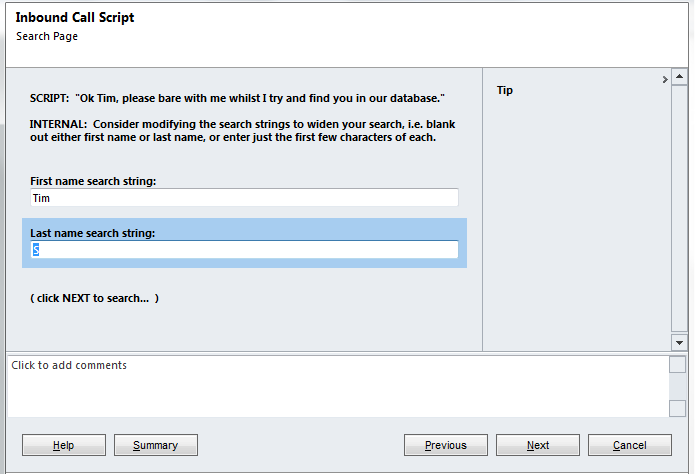 To know the attribute name and the correct case to use make sure you test your REST query in IE or using the oData Query Designer. 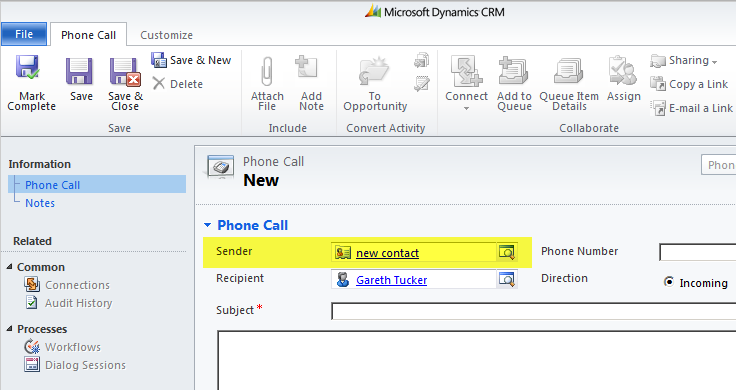 This entry was posted in Uncategorized and tagged 2011, crm, REST on September 7, 2011 by Gareth Tucker. 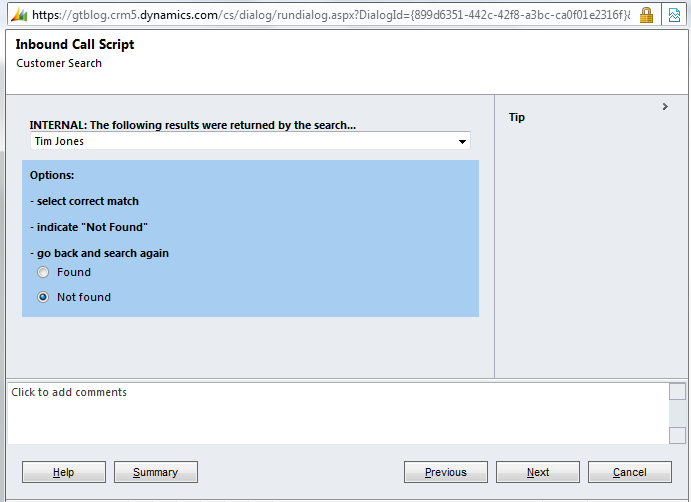 For help writing these scripts there’s an awesome tool available on Codeplex: OData Query Designer, which has now been bundled into the Dynamics XRM Tools solution on Codeplex. 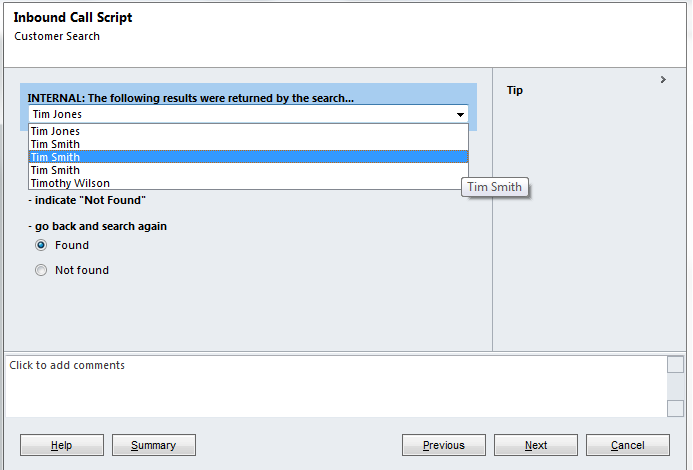 I recommend working out your REST query using the above tool and testing in Internet Explorer before you attempt to write your REST query in jscript. When testing in Internet Explorer you need to lose the %20 and just have the space. 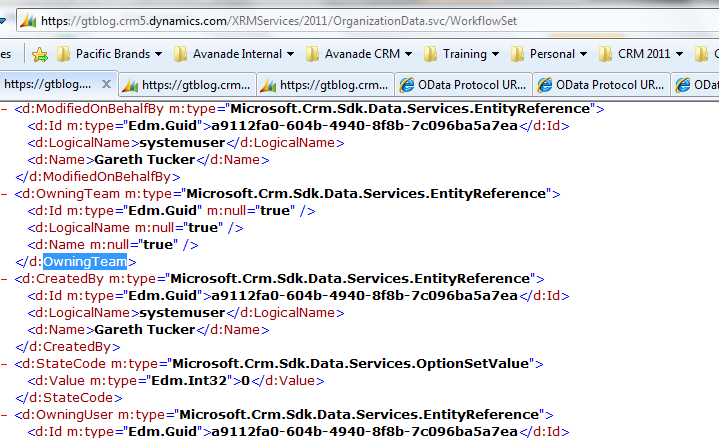 The OData Query Designer tool outputs URLs that will work in Internet Explorer. 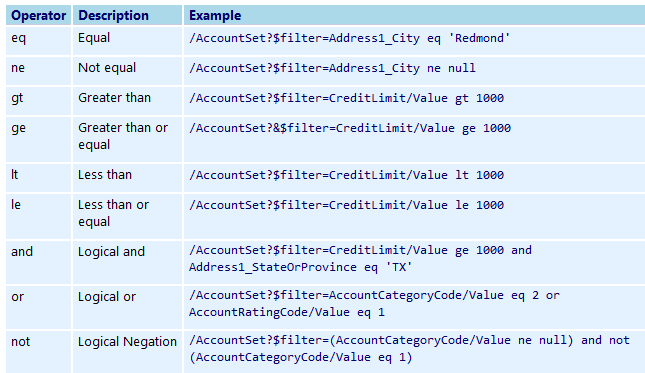 Note: The State Code field has multiple attributes so we need to use the syntax “StateCode/Value” to specifically refer to the Value of the StateCode field. 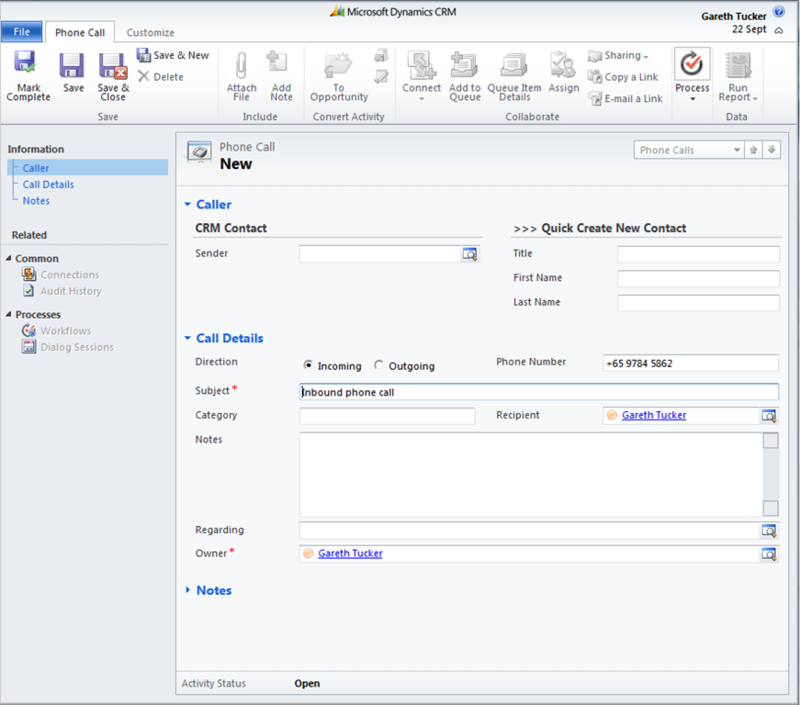 This entry was posted in Uncategorized and tagged 2011, crm, FILTER, ORDER BY, REST on February 22, 2011 by Gareth Tucker. 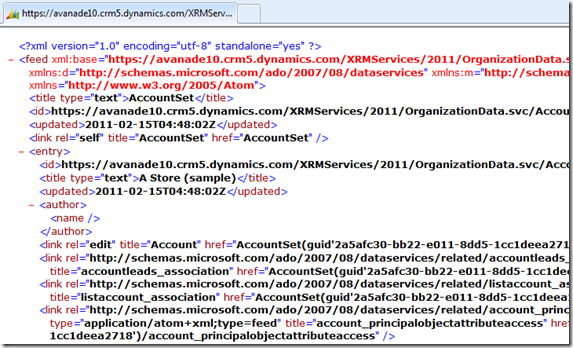 With CRM 2011 and the REST End Point we now have an easy to use syntax for executing creating, updating and retrieving CRM records from jscript. 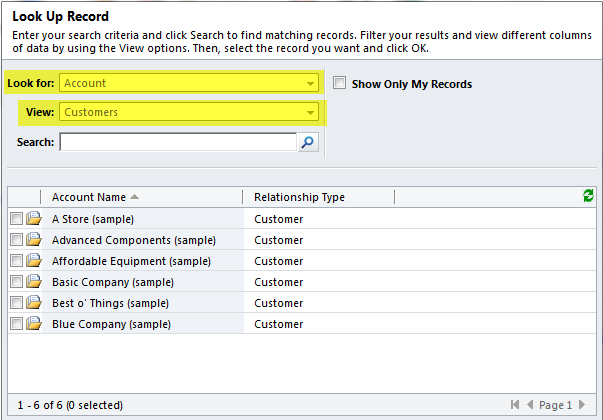 In this blog I’m going to demonstrate the approach for creating records. 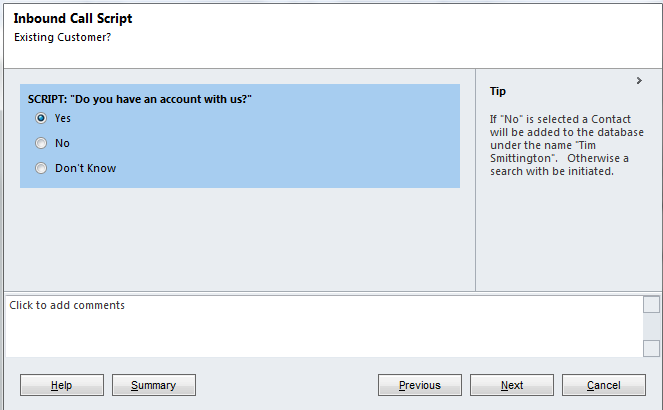 I want to demonstrate a very simple scenario to give you a gentle introduction to REST, so let’s just create a new Account record with the name "TEST". We will need our code to be triggered in some manner so lets just register it to run on the OnLoad event of the Letter form (an entity you probably haven’t customised in your development environment yet). 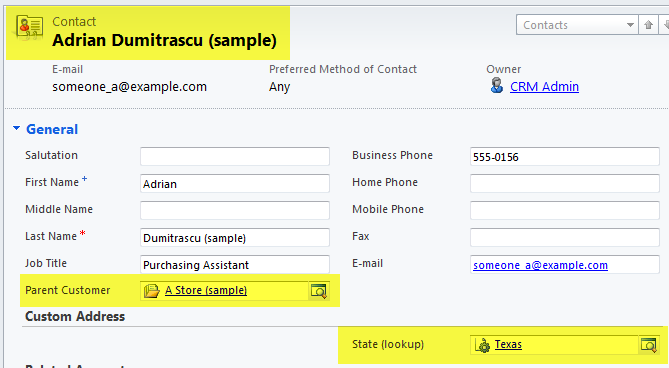 If you can get this working you will be able to add similar code to a custom Ribbon button or to a more applicable form event. I think the ordering is important so make sure the 3rd library you created to hold the code above is listed last. 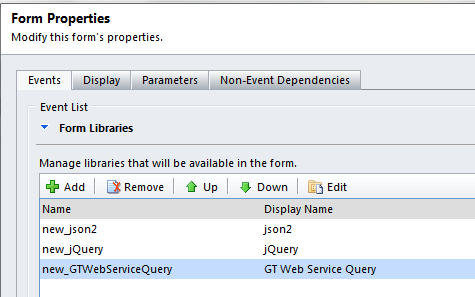 It refers to functions that the other 2 libraries provide. Ok, that should work. 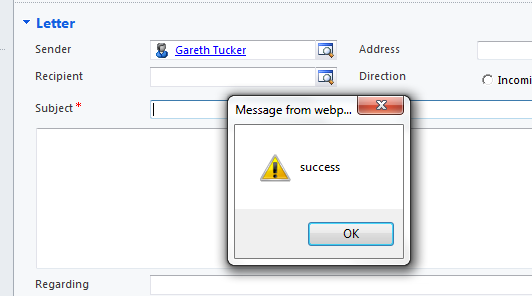 You didn’t need to localise anything, the necessary references are derived. 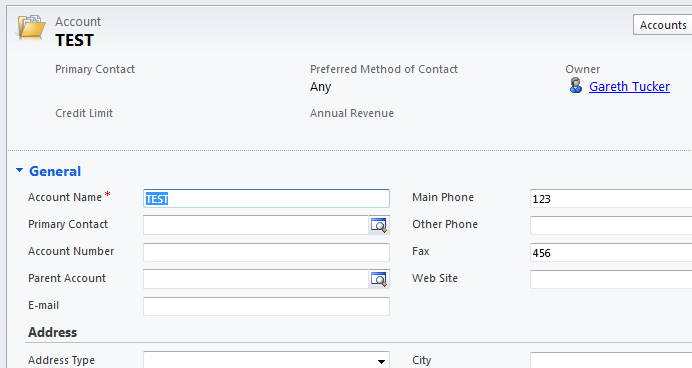 Simply, save, publish all, and then pop the Letter form. So that should be enough to get you started. 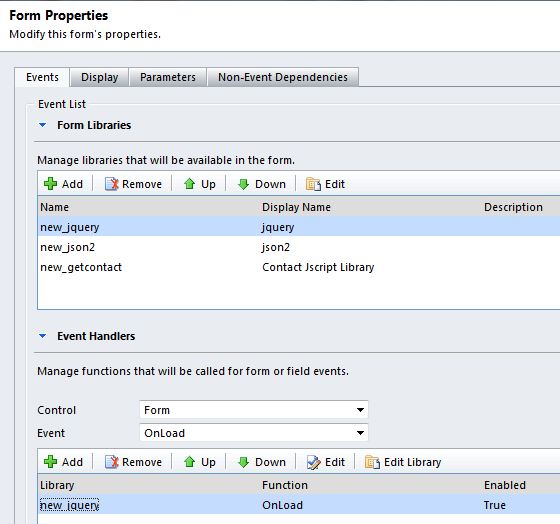 The code snippet I have provided is not tied to the Letter entity or to the onload event so you should be able to relocate it to another event or put it behind a ribbon button. 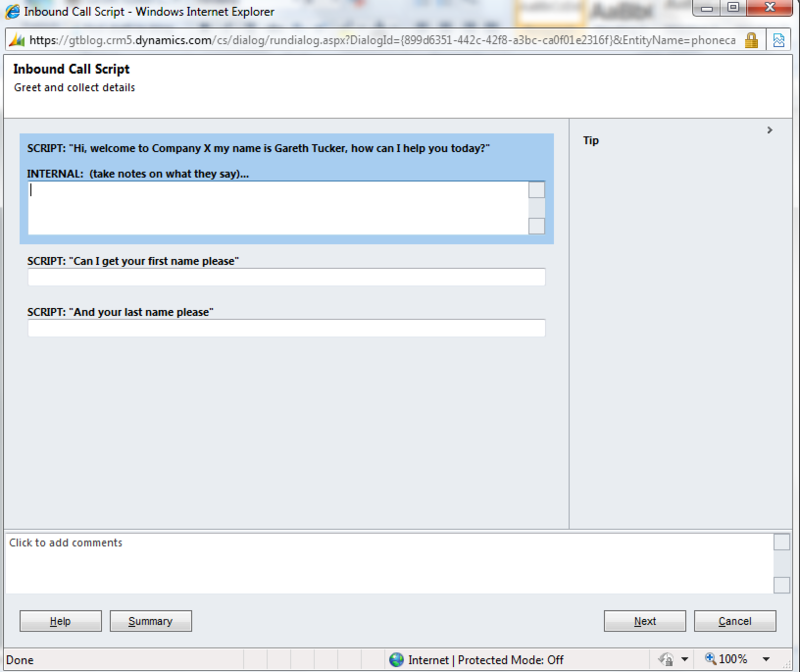 If you want it to run outside of CRM you need to handle the context using GetGlobalContext. So my example was pretty simple I was just provided hardcoded values but of course you could have a bunch of logic here to come up with the values you want. 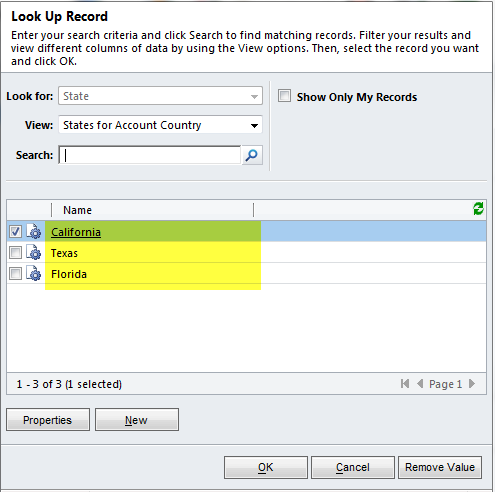 Simply navigating to this URL has the effect of submitting the following query: “Select the first 50 records from the Account entity”. 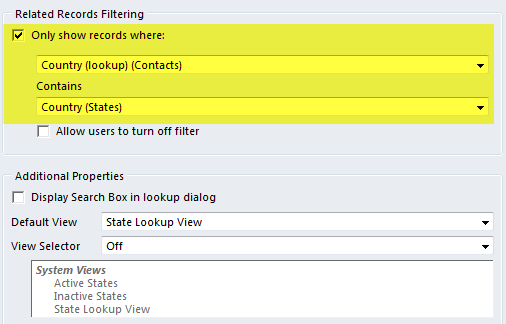 To view the data in Internet Explorer , you must first make sure that Internet Explorer is not enabled to format RSS feed. In the Content tab of Internet Options. 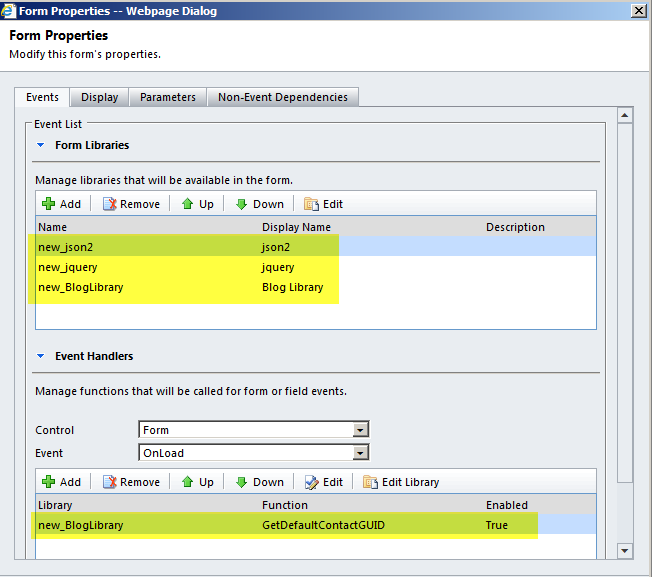 select Settings in the Feeds and Web Slices group. 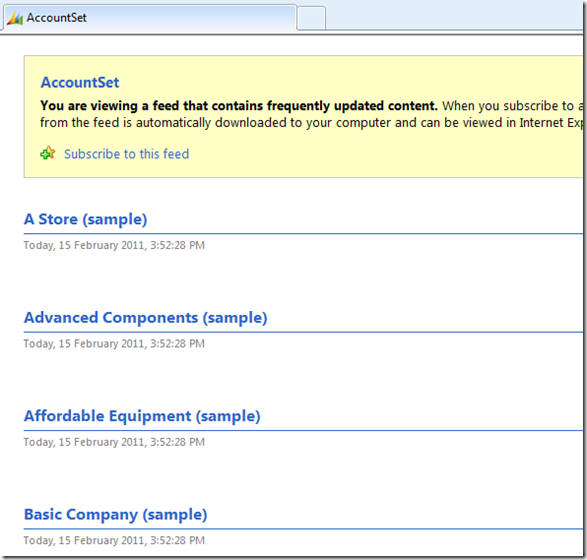 Then, click to clear the Turn on feed reading view option. Close and re-open Internet Explorer . Here you can check the case of the field name. Moving on, the rest of the code executes the creation request and deals with the asynchronous response. 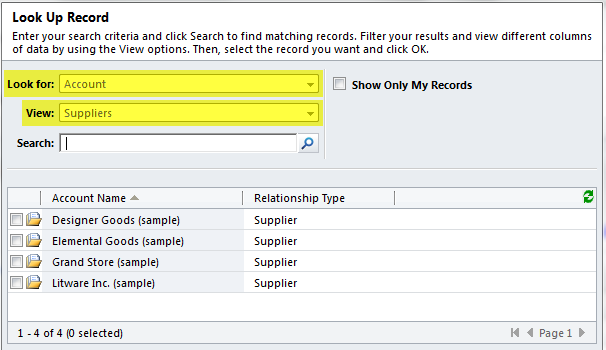 In the success function I create an object variable “NewCRMRecordCreated ” to hold the record created by the request. I can then extract field values of that object and do more stuff. I hope this of help to someone out there. 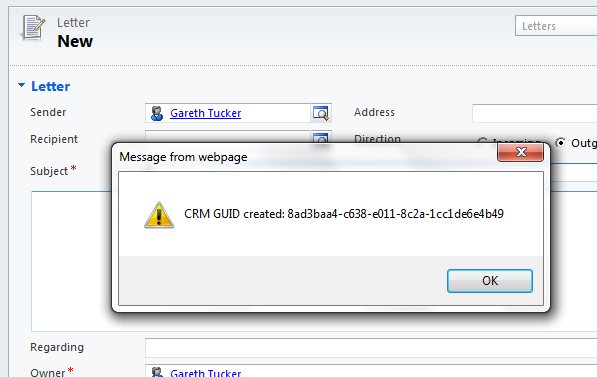 This entry was posted in Uncategorized and tagged CRM 2011, JQuery, REST on February 15, 2011 by Gareth Tucker.